Jet Fynn as a company is 15 years old this year as we started a long way back in 1996 operating from our humble home on a part-time basis until what we are now to cater for our clients' growing needs. They are our pillars of support as without them, Jet Fynn wouldn't be able to be around for so long. Looking back, the early years was a struggle and much work had to be done to convince people that photography is a profession just like any other, the person needs to have the dedication, commitment and of course the creativity to be able to carry out client's needs. Sometimes we get straightforward requests and certain times we get very challenging requests from customers. All of them are taken in enthusiastically as they are something new every time. At times we are honoured and also there are times we were deeply humbled at the complexities that was required to complete the job. And we went through it all with gusto so as to satisfy the required parameters for clients. Though we started as actual day wedding photographers, our portfolio grew from clients who liked our work and gave us the opportunity to shoot other stuffs for them. For example, any additions to their family was always welcomed and we were asked to return to share their new happiness. 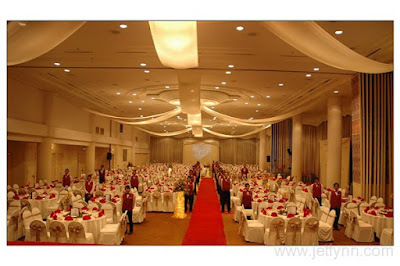 Then came clients who call us to cover their events be it for company or even their grandma's 80th birthday. Further down the road, there was a need to cater for a more demanding client based who prefer a formal setting for their pictures and we have to thank a fellow photographer friend who gave us the impetus to start off our formal studio. They are also the ones who sold us the necessary studio equipments to get us going. From there on, Jet Fynn Photography Studio officially came into being and we had our studio based in a quaint place in Bandar Baru Bercham. Due to the location which many clients couldn't find us, we took in their views and comments and shifted to Ipoh Garden South in 2006. It was here that we added videography to our portfolio of services with a very experienced videographer associate who shared our views on giving clients the best that we could. We were still keeping a low profile as our signboard is smaller than the size of an A4 paper! Not surprisingly, many still can't find us. We relied on a lot of goodwill and satisfied customers who kept on recommending us to their family and friends for photography and videography jobs. We are still thinking about it as we were rather busy with our work for the month of December. Will keep this thread updated. There will definitely be something on! Cheers! Have a Happy and Productive 2011!